Why Choose Wild Gorilla Safaris? 5 Days Congo Lowland Gorilla Tour & Nyungwe Chimpanzees is an adventure journey to view the two of the Great Apes in their natural habitat. 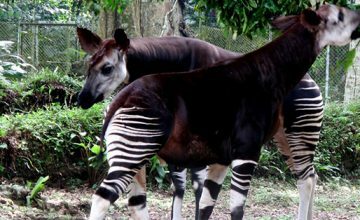 Nyungwe Forest National Park is a home to Chimpanzees along with 12 species of primates including the largest grouping of Black and White Colobus Monkeys in Africa while Kahuzi Biega National Park stands as a habitat for the Eastern Lowland Gorillas. Other adventure activities include; Canopy walk in Nyungwe and Tshibati falls tour in Kahuzi Biega. Following breakfast at your place of stay in Kigali, you set off for the drive to Nyungwe National Park 268km about 6 hours’ drive. You explore the impressive Rwandan countryside with beautiful hills before making a stop at Nyanza Palace – the site of the ancient Rwandan Monarchy where the last two kings of Rwanda reigned from namely; King Musinga and his son King Rudahigwa. The beautiful architectural traditional hut, Inyambo cows, and the King’s Equipment are all available for exploration. You proceed on the drive to Butare where you will visit the Ethnographic Museum (National Museum of Rwanda) with over 100,000 artefacts making it among the largest museums in East Africa. From Butare, you proceed to Nyungwe Forest for relaxation and overnight. You are up for an early breakfast commencing the drive as early as 5am connecting to Kyamudongo Forest. You settle for briefing at 8am and set off to the forest on foot in search of the remarkable Chimpanzees. Traverse the ancient moist forest known to have survived the last ice age and now featuring 13 primate species, 1068 plant species, 85 mammal species, 32 Amphibian Species, 275 bird species and 38 Reptile species making it ecologically diverse. The Chimpanzee trek lasts 2 – 5 hours with the actual viewing limited to one hour for conservation purposes. 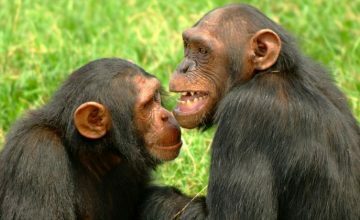 It is a great deal to explore the chimps forage, socialise, make pant hooting calls among other exciting behaviours. You settle for lunch after which you connect to Uwinka visitor Centre for the adventurous Nyungwe canopy walk. The walk takes a maximum of 2 hours offering a memorable sight of the forest canopy and some creatures that thrive in it like birds, butterflies and primates. Following breakfast, set off on the transfer to Bukavu – Kahuzi Biega National Park via the border post at Cyangungu. 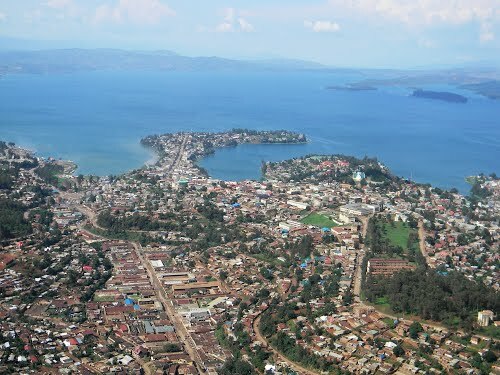 Settle for lunch in Bukavu town after which you pay a visit to Mbayo tea plantation learning more about the practices of tea growing and how locals are thriving from it. Connect to the lodge for relaxation, dinner and overnight. Following breakfast, set off for an adventurous hike in the equatorial jungle of Kahuzi-Biega National Park looking for Eastern Lowland Gorillas – one of the mighty Great Apes. 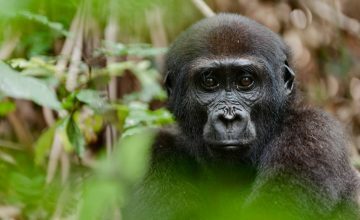 Varying from the Mountain Gorillas, the Eastern lowland gorillas are relatively larger in size and like to thrive in bigger groups. 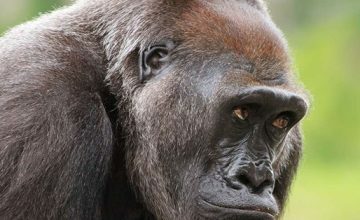 The trek to the Eastern lowland gorillas normally lasts 1 – 4 hours. In the afternoon, you take a sightseeing experience around Tshibati falls. Retire for relaxation and overnight. Following breakfast, you set off for the transfer to Kigali Rwanda. You can make an optional stop at Murambi genocide memorial can be arranged to learn into the cause and effect of the 1994 horrific genocide that befell Rwanda in 1994. Airport transfers Transportation by safari van Accommodation and meals as per itinerary Gorilla permits, one per person to be paid in advance Driver allowances En-route lunches Visit the equator and igongo cultural Centre. personal nature expenses of excludes: laundry, tips to local guides, telephone, porter fee while trekking, Air fare, Visa, drinks, personal insurance, personal shopping bills and cigarettes. Copyright © 2015 - 2019 Wild Gorilla Safaris | All Rights Reserved | Powered by wildgorilasafaris | Prime Safaris & Tours Ltd.